Downtown Cincinnati at the turn of the 20th century was a bustling business and commercial center, but with a dangerous mixture of pedestrians, horse-pulled wagons and carriages, street cars, and unseasoned automobile drivers. Add to this a mess of unpaved or cobblestoned streets, a lack of traffic laws, speed limits, and stop signs at intersections, with streetcar tracks criss-crossing lanes. It was a recipe for disaster. The story of abandoned subway stations and tracks hidden beneath busy city streets is not unique to Cincinnati. Other large cities, such as New York, London, and Paris have similarly mysterious and intriguing stories to tell. An article I recently read in The New York Times introduced me to this underground world of hidden subway ventilation shafts disguised by false building facades, with doors from which people occasionally exit, but never seem to enter. Some of these subterranean secrets are in use, while others have been abandoned like Cincinnati’s own subway stations beneath Central Parkway. What’s fascinating is the effort made to disguise these facilities, to blend them in with the neighboring buildings. While it seems a logically aesthetic means of making the utilitarian more appealing, some have argued that the cities in which these structures are located are trying to hide a deep secret. 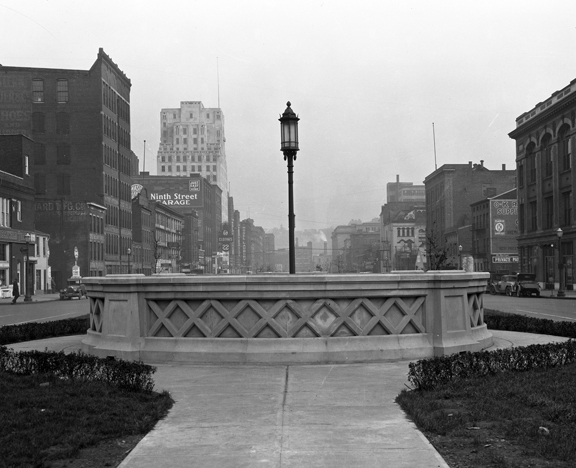 For comparison, consider the Cincinnati subway – when the subway and Central Parkway were first being constructed, the ventilation chimneys and the entrances to the below-ground stations were nicely appointed with decorative stonework. Cincinnatians who drive along Columbia Parkway from downtown to the eastern suburbs know the parkway for its breathtaking scenic views of the Ohio River below. But these commuters also know the danger of driving along this parkway after a quick, heavy downpour or a prolonged period of rain-drenched days. 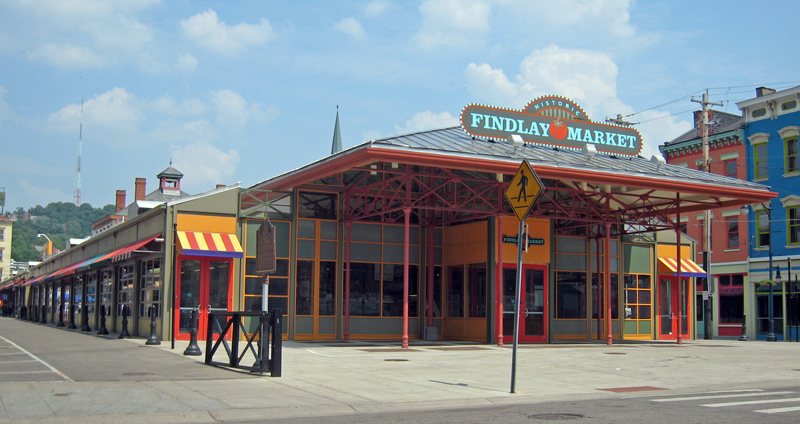 One of the country’s oldest surviving public market houses to operate on a continual basis, Findlay Market is one of the nine original municipal markets that were open for business in downtown Cincinnati at the turn of the 20th century. The major source of goods for Cincinnati’s densely populated urban center, these markets began operating in the early 1800’s and continued to provide fresh produce and other goods to local residents through the mid-1960s, with Findlay Market being the sole survivor in the downtown area. 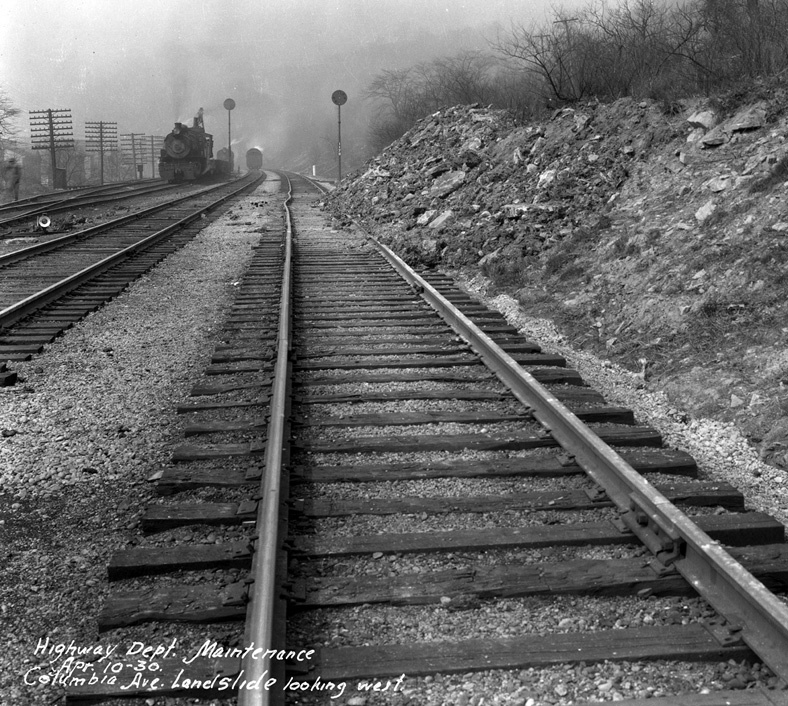 The fascination and level of interest in Cincinnati’s attempt to build a subway is as alive today as it was when the first shovel-full of dirt was lifted from the canal bed in January, 1920. For some, it is a fascination with Cincinnati’s history, a desire to learn more about how their city has developed. For others, it is a fascination with what lies beneath Central Parkway, the desire to walk the tunnels through which no subway train has ever run. 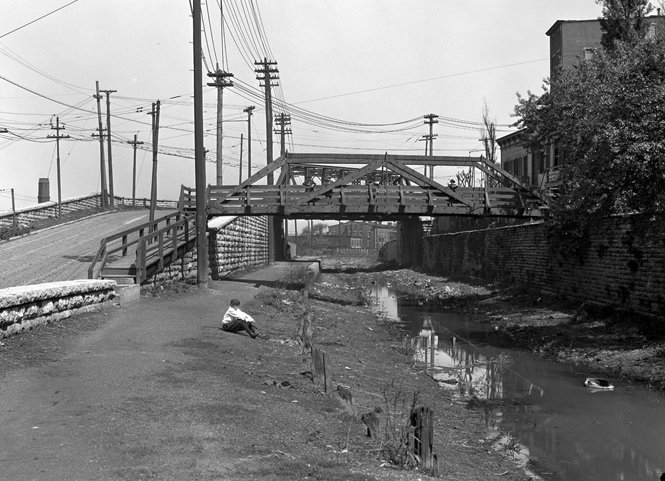 Brighton Bridge, which spans Central Parkway connecting Colerain Avenue with McMicken Avenue, was built during the construction of Section Four of the subway. 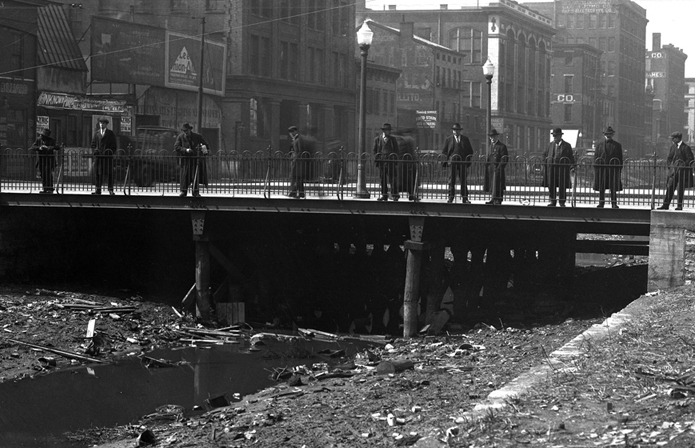 The last portion of subway to be constructed in the former Miami-Erie Canal bed, Section Four extended from Mohawk Street to Brighton’s Corner, and included an underground station at Brighton. 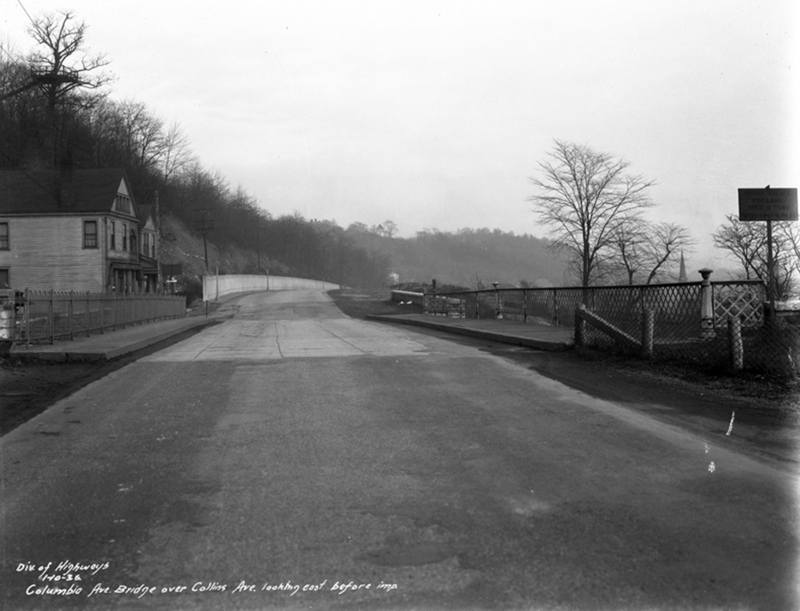 In keeping with the neighborhood theme of last week’s blog, I wanted to take a closer look at some of the neighborhoods through which the collection of subway and street improvement photographs passes. The collection is a fantastic study of Cincinnati’s urban development as the city grew in those early decades of the 20th century and some neighborhoods expanded and others were established. 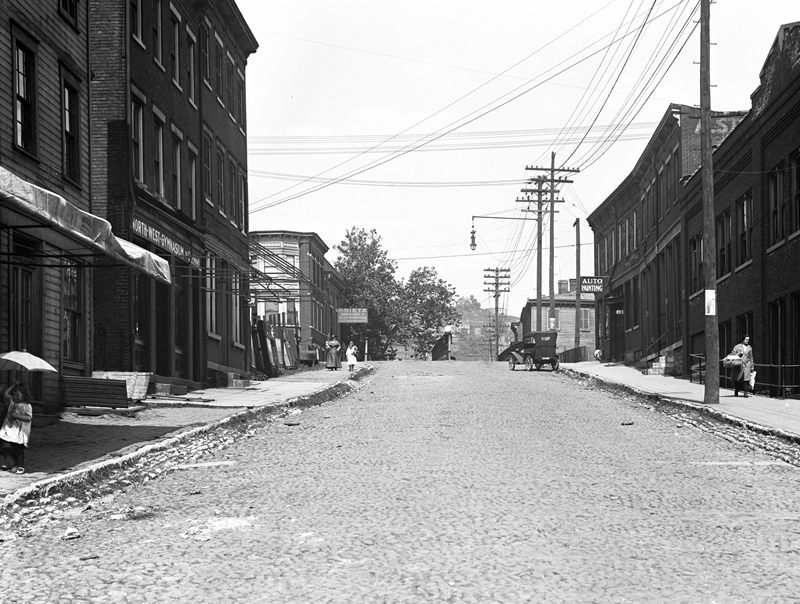 Many of the streets and boulevards that bounded the neighborhoods of the collection have changed over time, with expansion as well as other city infrastructure improvements. 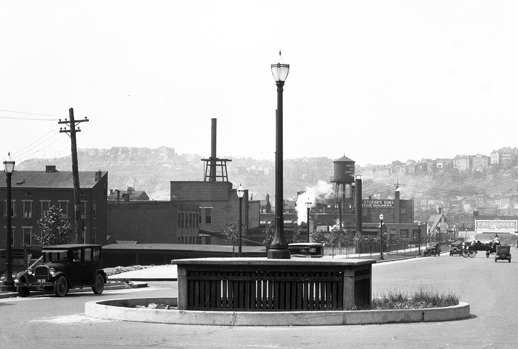 The proposed subway route crossed through several neighborhoods north and west of downtown Cincinnati, as did the street improvement projects of the 1920s – 1950s. 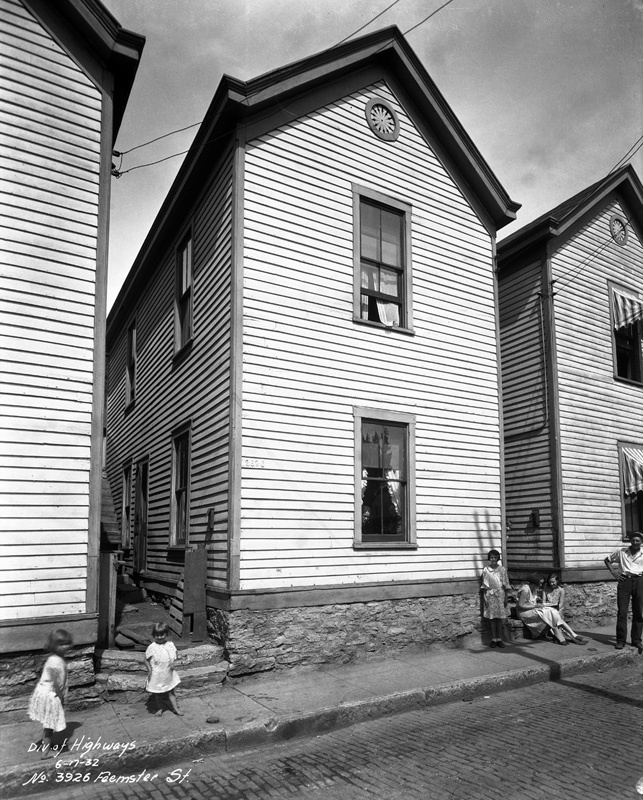 Whether the project involved razing a bridge over the canal to make room for bulldozers or digging trenches to lay new sewer lines before paving streets, the photographers captured these streets and neighborhoods in their images, and noted the location in the majority of photographs. As I’ve mentioned in earlier blog postings, the identity of the subway and street improvements photographer – or more likely, photographers, due to the 30-year time span of the collection – was not known at the outset of our digitization project. As more negatives are sent for scanning, we’ve gotten closer to revealing the identity. Just last week, our scanning service came across a negative with “Photo by L.G. Folger” written at the bottom, below the date and location of the photograph. Very exciting news! This same name has also been found on the back of printed photographs. This is definitely a step in the right direction, considering it was found written directly on a negative as well as on prints! Other prints have a round stamp on the back with the information “W.T. Myers & Co., 238 E. 4th St., Cincinnati, Ohio”.